Brian Quinn came to Crawley from Ireland in 1966 at the age of 20. He spent his first three months in the town working for APV. Brian then worked in the transport business until his retirement in 2013. 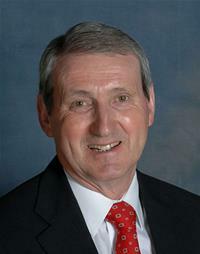 Councillor Quinn has served on the Council since 1998. Brian is married and has two grown up daughters. His interests include golf, snooker, eating out and travel.